Our Tudor room represents timeless sophistication and beauty. The minute details and true craftsmanship are present from the moment you enter the room and the hand carved, quarter-sawn Oak panels enrich the large space. Follow the wood detail up to the second story balcony overlooking the main floor for more room to dine and entertain guests. 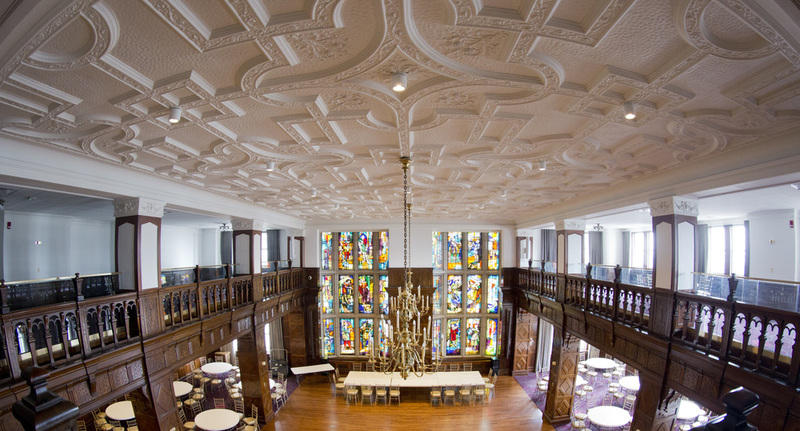 The centerpiece of the room is our two-story stained glass mural crafted by the well-known artist, Ronald Neill Dixon. This room is beyond description and must be seen to be fully appreciated.